Remember when your kitchen countertop was a place where you could actually prepare food? Now you enter your kitchen and can hardly remember what your counters look like underneath all of the clutter, loose mail, and hodge-podge storage that’s been forced onto its surface. At McKinley Apartments, we get that the kitchen counter often has to serve a much larger purpose than being a place to prepare and present food. In many homes, it’s the depository for everything that builds up in pockets, purses, and backpacks over the course of a day. It’s where we drop the items we want close at hand, the first place we look when searching for where we left our keys, wallets, cell phones, and receipts. But what do you do when your small kitchen counter space can’t keep up with everything you’re demanding of it? How can you let your kitchen counter be a kitchen counter again, rather than a place where all of the clutter of your home is constantly on display? The key is to tackle the problem head-on with some targeted strategies for organizing your small kitchen and reclaiming your counter space. Let’s have a look at some easy and inexpensive (or free) options for how to organize small kitchen counter space. Before we even get into kitchen counter organization ideas, your very first step should be finding a new place for all of the items and clutter that accumulate on the kitchen countertop. 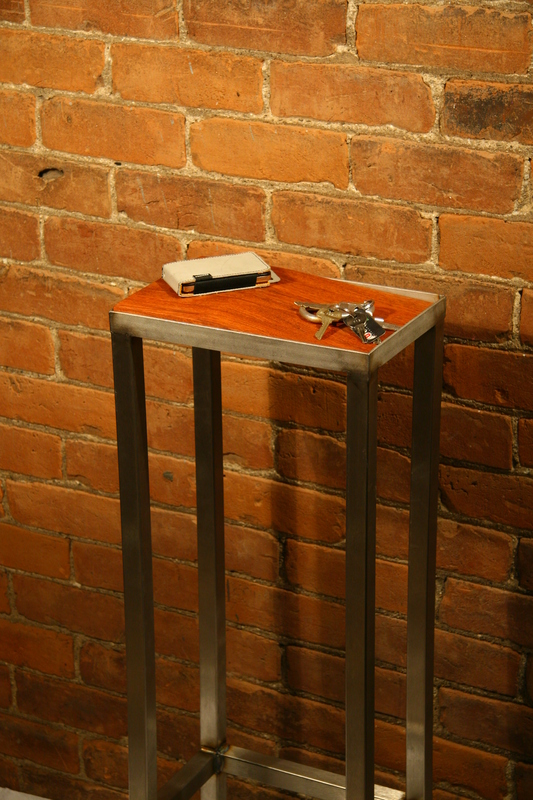 If your keys, wallets, and phones always seem to end up here, consider adding a small table or shelf to your home’s entryway with a bowl for depositing all of these items. When the items go right into the bowl upon entering the house, they’ll never have a chance to end up sprawled across your kitchen counter. If your kitchen simply must host these items, at least have a dedicated bowl or even a sealed container on one corner. This will contain the occupied counter space to a defined zone that won’t expand beyond its limits. If you’re reading this article, it’s likely that ‘just putting everything into drawers’ isn’t an option for you. It might be that your kitchen cabinets and drawers are already filled with other kitchen supplies, or maybe you just want to keep some things out in the open. Fortunately, you’re not without options! If you’re going to use at least part of your kitchen countertop for storage, the best thing you can do is make it look intentional. 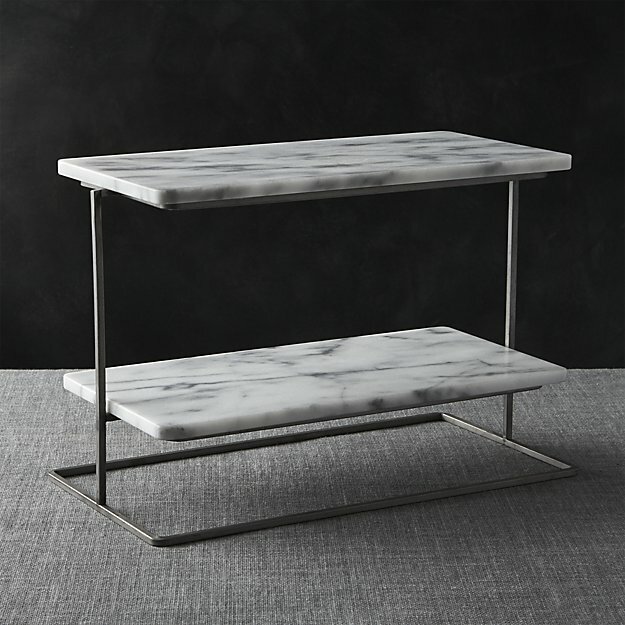 Choosing storage options that are both functional and stylish, and offer a consistent look, can make your countertop storage look like a deliberate design choice. For example, rather than storing your flour, sugar, and other cooking supplies in a collection of Tupperware containers of varying sizes and shapes, get yourself a set of stylishly vintage ceramic containers or jars. Align them in a row along the back of your countertop. You can even use chalkboard stickers or paint to create stylish labels for each item. While you’re still using your countertop storage, you’re doing so in a way that looks like a stylistic decision! Many people think that their drawers are too full of other items to accommodate what’s currently living on the kitchen countertop and improve their kitchen counter organization. But the truth is that most drawers and cabinets could be optimized to hold way more than their current capacity without being disorganized or so stuffed that they can hardly be opened. The key is to access the magic of drawer organizers. Say goodbye to the days of throwing everything into a drawer and sifting through items to find that one, tiny apple slicer you need. 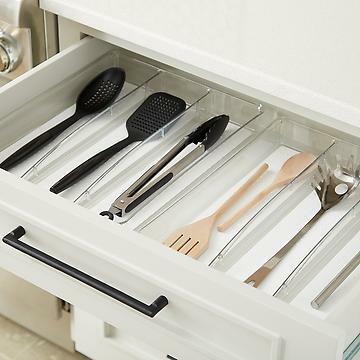 Drawer organizers are incredibly affordable, available in a wide range of shapes and sizes, and work wonders for your drawer space and organization. You’ll be amazed at how much more you can fit into your kitchen storage when each one offers a proper place for all of your kitchen items. When your kitchen drawers are organized, it’s much easier to find a space in them for the random items that would otherwise end up on the countertop, cluttering up your home. Once your drawers are organized, it’s time to move on to your cabinets. These big, tall storage spaces are often dramatically underused by many McKinley Apartments renters. Why? Because you’re only using the lowest 50% of them to stack plates, bowls and other kitchen items. So how do you maximize the space in these cabinets for better organization and more available space to free up your countertop? It’s time to unleash the power of hanging storage. 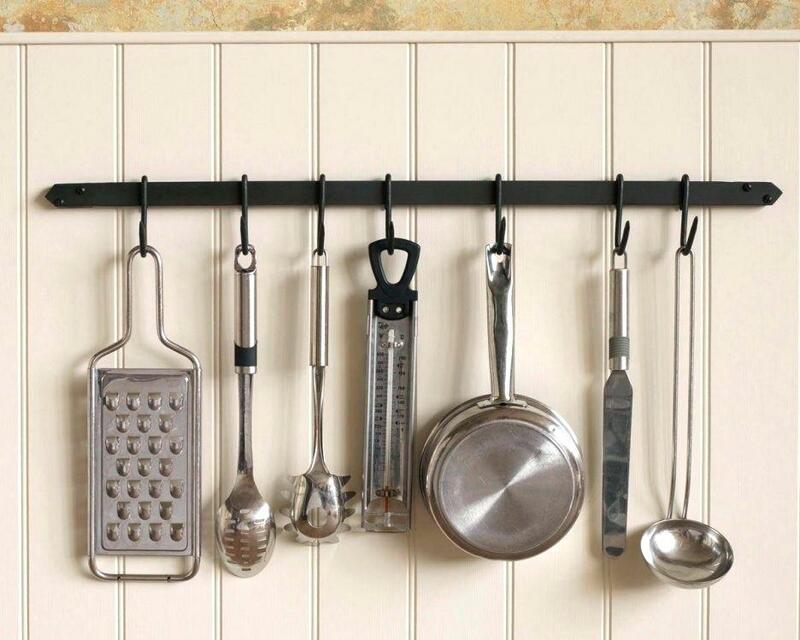 With just a few screw hooks strategically placed in drawers under your sink, above your countertop, or even along the side of your counters if your pots and pans are pretty and you’re feeling bold, you can dramatically improve the amount of storage your kitchen has to offer. Rather than cleaning supplies and spray bottles piling up on each other under your sink, they can be hung just inside the cabinet drawers for easy access. That frees up the floor space in that cabinet for other items. You can even get creative with hanging items like keys and other items, or even attaching a small keyring to your wallet so that it can be hung and free up counter space. 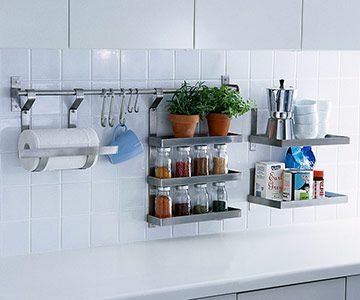 There’s no limit to how much hanging storage can help you reach the clutter-free goals you have for your kitchen. What if you could increase your countertop storage space without actually increasing the size of your countertops? That’s the power of creating levels on your counter. Get creative with how many storage surfaces are actually available on your kitchen counter. One small but powerful example? A cake pan! This elevated dish can give you a place to put fruit or other food, while giving you extra space underneath for additional kitchen items. 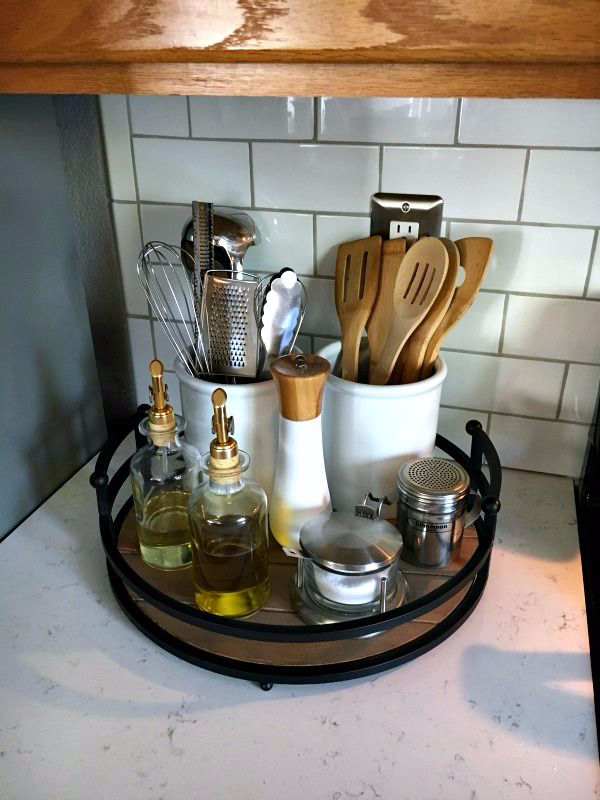 Head to your local storage solution retailer with this approach in mind, and you’ll be surprised by how many functional yet visually appealing options you have at your disposal for creating multiple organized levels in portions of your countertop space. Just remember not to go overboard—using this approach to cram even more storage onto the entirety of your countertop will actually have the opposite effect, leaving a sense of clutter and less usable space on the countertop. We’ve talked about using hanging space inside your cabinets, but don’t worry about the largely neglected area behind your countertop—the backsplash. This area has massive potential to add storage capabilities in a stylish way. From hanging hooks and arranging visually appealing kitchen items to adding a particle board section for attaching cooking utensils, putting your backsplash to work can help move storage off of your counter so that you can get back to using it as an actual kitchen cooking surface. Taking the plunge and deciding to get organized when it comes to your small kitchen counter space isn’t easy. But the hardest step is deciding to make a change. After that, you’ll be amazed at how quick and simple it can be to dramatically improve the organizational flow of your kitchen. Pretty soon, you’ll find yourself wanting to apply the same principles to the rest of your house. We call that the De-cluttering Domino Effect. 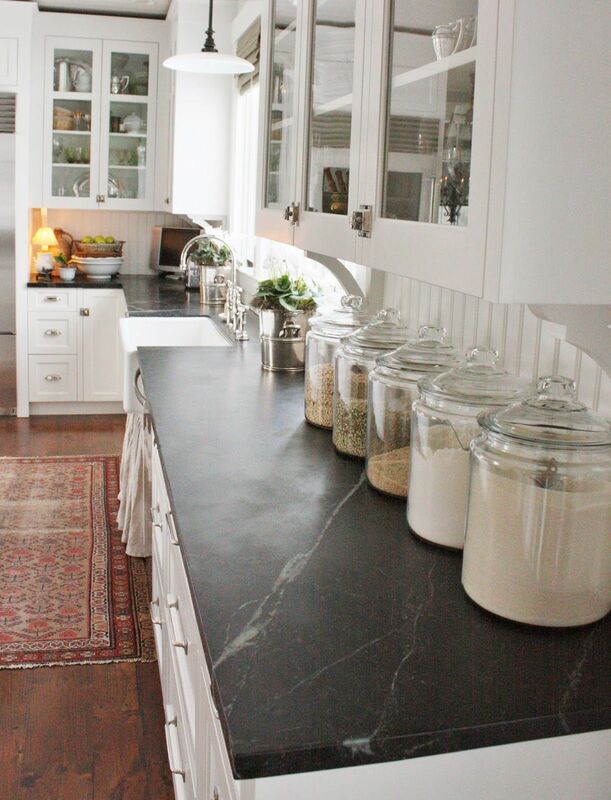 But how can you avoid struggling with having enough space to organize your kitchen counter? Make sure counter space is not an issue: Check out our roomy apartments here!